Planning for a honeymoon place is not easy as one thinks, many places are there that are attractive enough to visit. But, a unique place must be there for this special occasion. Location should be like, that has natural atmosphere, vibrant air, cozy weather that keeps you close together, green landscape, natural waterfalls, peace and serenity in the atmosphere and many more things. All these things make you more romantic and comforted with your partner. 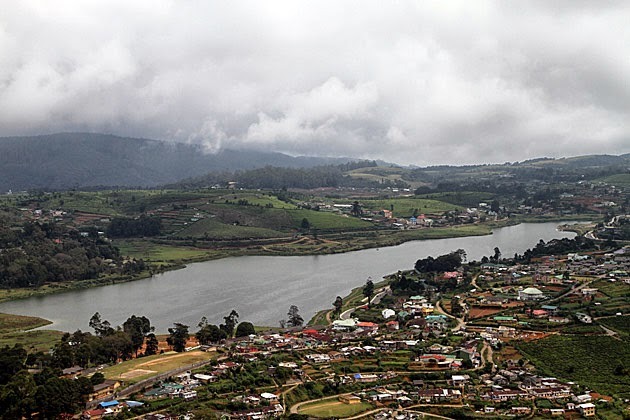 If you are planning vacation for a hill station in foreign countries, then Nuwara Eliya in Sri Lanka is the best location that has everything one needs during the honeymoon. This hill station is surrounded by hill and tea plantations. The main quality of this place is that the weather is spring-like throughout the year. So, one can plan for this place anytime or in any season. This place was founded by the Samuel Baker and named it a Little England as it is dotted with English country style houses and half-timbered bungalows. When the bus roll and whirl up the mountain path to this town and the first cool breeze hits your face, you will surely astonish to feel it. You and your partner feel like that finally you left the hot and humid area far behind. 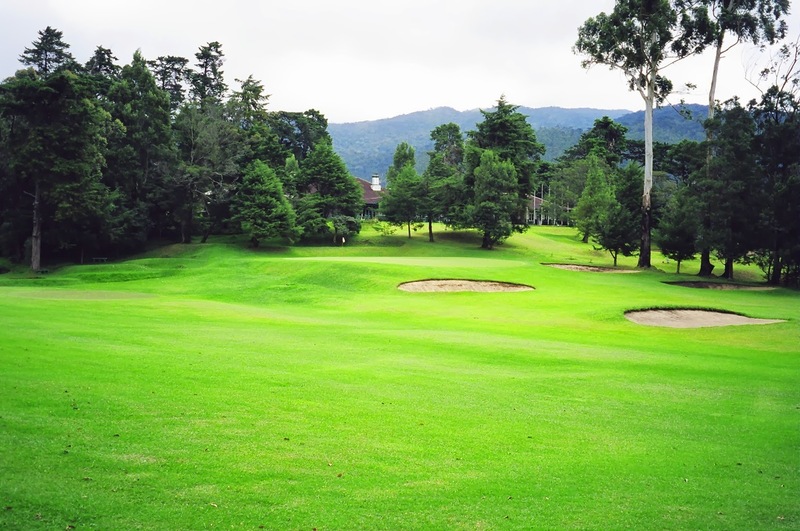 The main attractions of the town you can find are the golf course, trout streams, Victoria park, lake boating, etc. 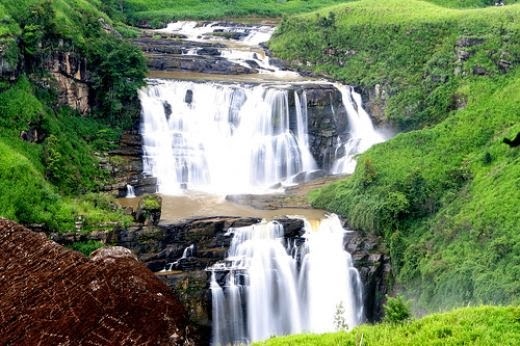 Also, visit the picturesque waterfalls namely Dunhinda Falls, Diyaluma Falls, Baker’s Falls, St. Claire’s Falls, Ravana Ella, Bambarakanda Ella, The Lovers Leap, etc. 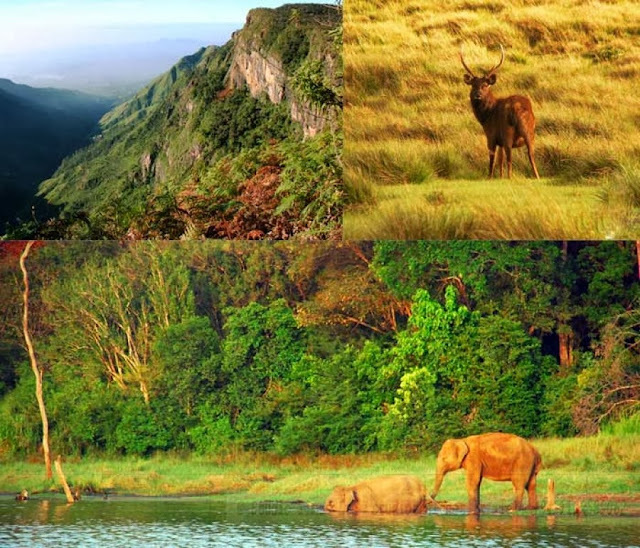 In the Horton Plains National Park, many species can be found like Leopard, Sambar, Purple-faced Langur, yellow eared Bulbul and many more. You can also enjoy the Elephant Safari and Jeep Safari to intimate with your partner and dwell in romance. The tea plantation smells spreads to the long miles. 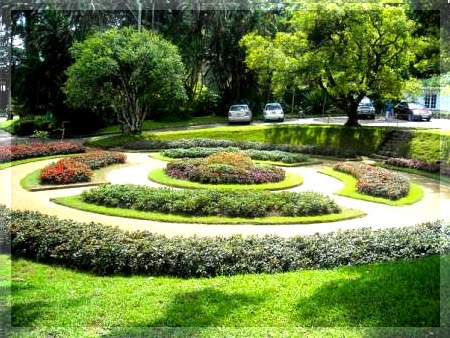 Greenery makes the atmosphere more romantic. Playing golf at the famous golf resort is the other good option to enjoy with your partner to the fullest. Doing photography at this picturesque location reminds you always the honeymoon time that spends together when you will see the photos again. It gives you back the memory of those days and you will surely miss the place. must be a great place to be. Great shots. I love trains and you captured that one so well. Hi! It looks Nuwara is very plesant resort. I want to go there in some future. Thanks for sharing. Wow, beautiful scenery! 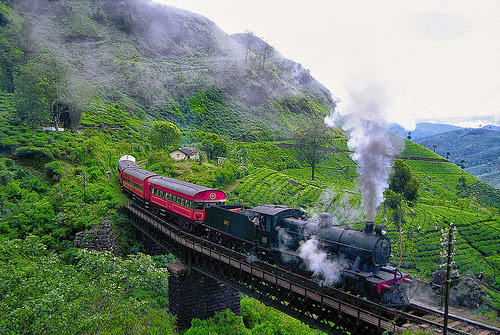 I love the shot with the train! Thanks for sharing your world. This looks like a wonderful place for a vacation, let alone a honeymoon. I really like those waterfalls. Interesting and great photos! A wonderful place! Wonderful place and nice pictures.. Thanks for tour comment.. Best regards..
omgosh, these are amazing!! i picked several favorites but as i moved on, that kept changing!! love, love, love the train!!! Oh! Fabulous scenery! It looks like a wonderful holiday destination. Very beautiful, fresh and wild place! Extra point for the train:-) Great post! Tnx for visiting my blog! Gorgeous scenery! I love that train! Such amazing scenery. I just love elephants. Thanks so much Randy and all my friends..I glad you enjoying here.. Such glorious country! What a great train! Thanks Claudia! I glad you visited here and leave a nice feedback..Hope keep visiting.. So much pretty green! And I love the train! Your pictures nearly mad me cry - I have been there about 30 years ago. And it's such a lovely place! Thanks for sharing! Zielone wzgórza. wodospady, zwierzęta to razem bajeczne miejsce. To raj dla wszystkich,nie tylko nowożeńców. Pozdrawiam. 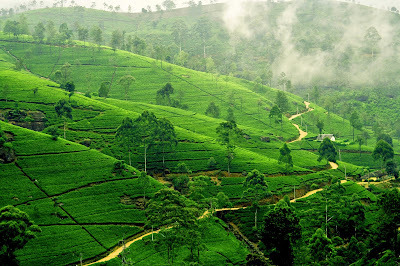 Green hills. waterfalls, animals are all fabulous place. It is a paradise for everyone, not just newlyweds. Yours. Also nice to see locomotive again, I still travelled with it when I was child but nowadyas electric locomotives are running in Hungary only. Looks like an amazing spot! Wow it is awesome! The second shot is my favorite. All that lush green is beautiful. I love, love the train! the rich greens are gorgeous! WoW what a gorgeous place. The National Park looks very interesting and the waterfall is stunning ! Amazing photos. Amazing photos!!!! Cheers from Cottage Country Ontario , ON, Canada! trains and waterfalls - two of my favorite things! Thanks so much all my Friends! I glad you visiting here, indeed i appreciate for your kind comments.. Hope Keep visiting.. Such a nice place, maybe next spring I'll go there together with my spouse.